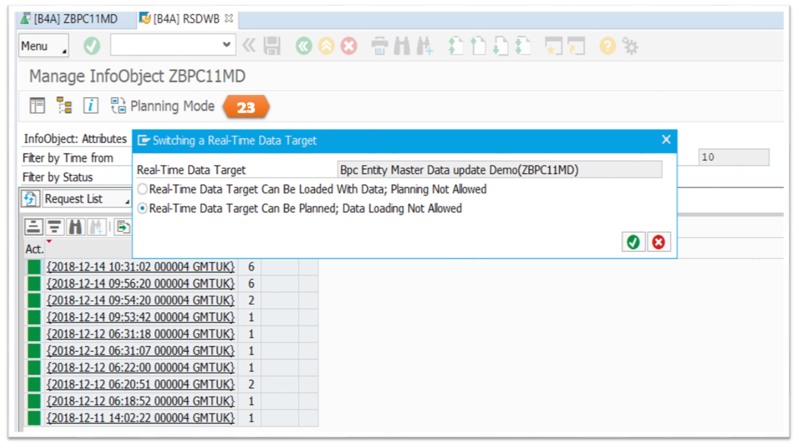 BPC 11 Embedded Master Data Planning Feature. 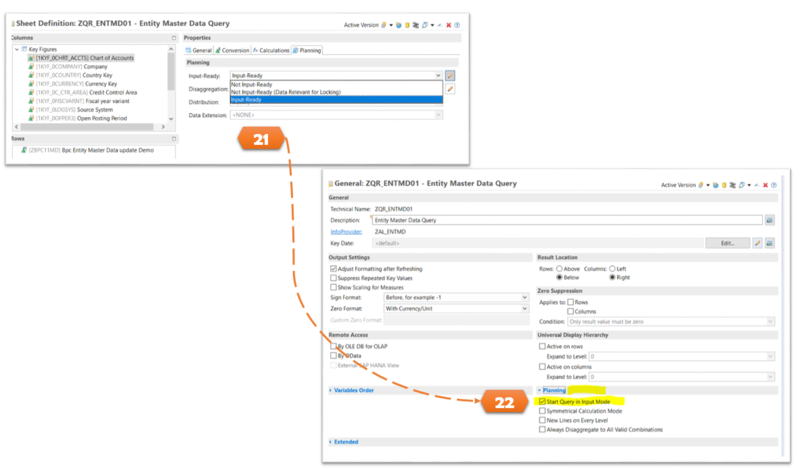 How to update Dimension properties (Master Data attributes) & texts from Analysis for Office using Master data Planning feature in BW/4 HANA & BPC 11. 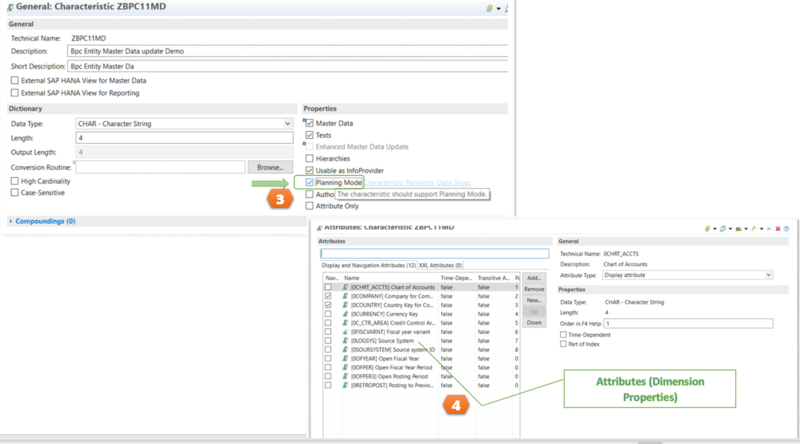 In this Blog we will look on various options in updating BPC Master data and look on how to update master data attributes/properties via Analysis for Office usingBW/4 HANA Master data planning feature. 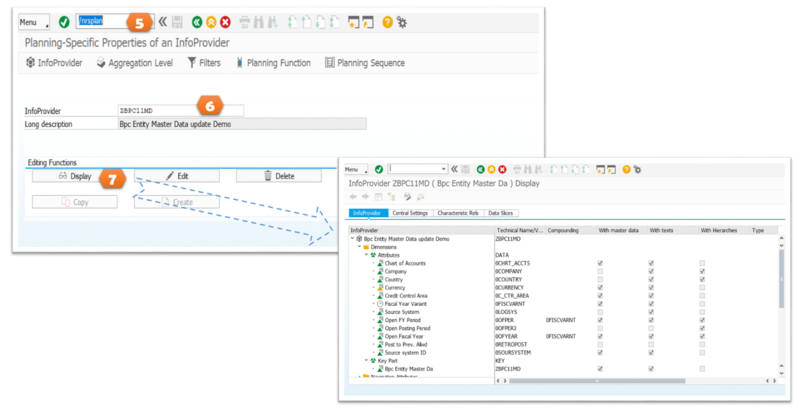 Extracting Master data attributes & texts via Flat file interface from Non-Sap source systems. 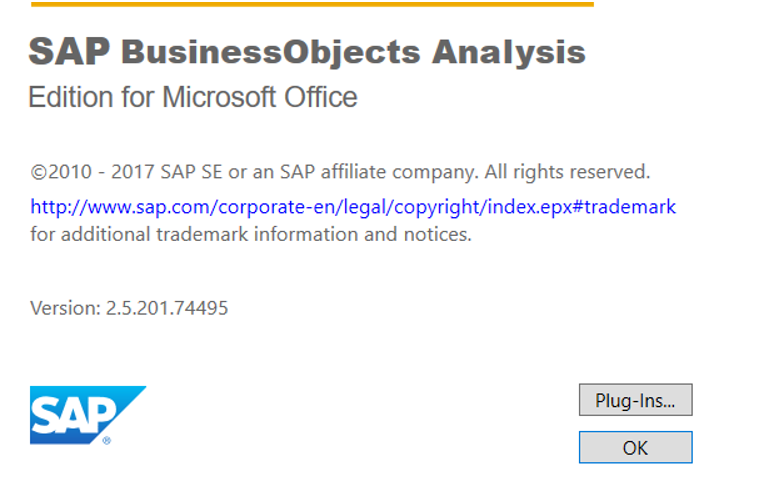 Update Dimension properties & descriptions from Analysis for Office. In BPC Embedded, Dimensions & Properties are added when you create Models. Dimensions and Properties are Infoobjects and their attributes. These bpc properties and descriptions will be updated manually via option 3 or 4 or loaded from source systems via option 1 or 2. We will see one more option to update dimension properties and descriptions that can be used by BPC Admin and Business users. 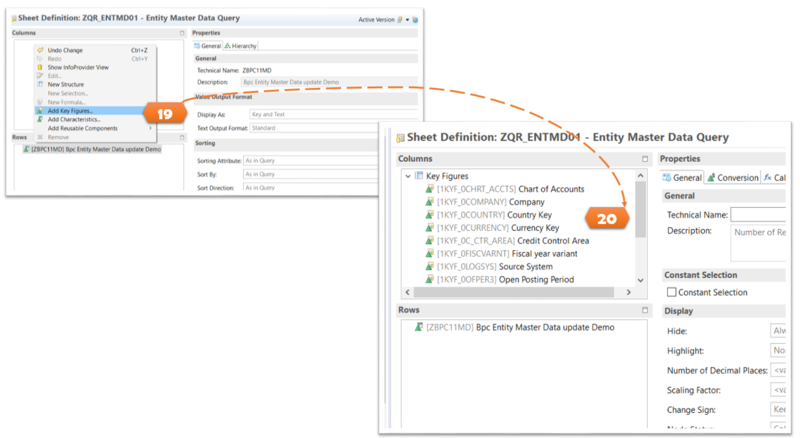 Option 5 : We will use Master data planning feature to update Master Data (dimension members and attributes/properties) from Analysis for Office. Step 1 : Infoobject with Master data attributes and text. Create/copy an InfoObject (ZMDTPLN) switch on master data & texts and then add attributes. In my example I am copying existing infoobject. 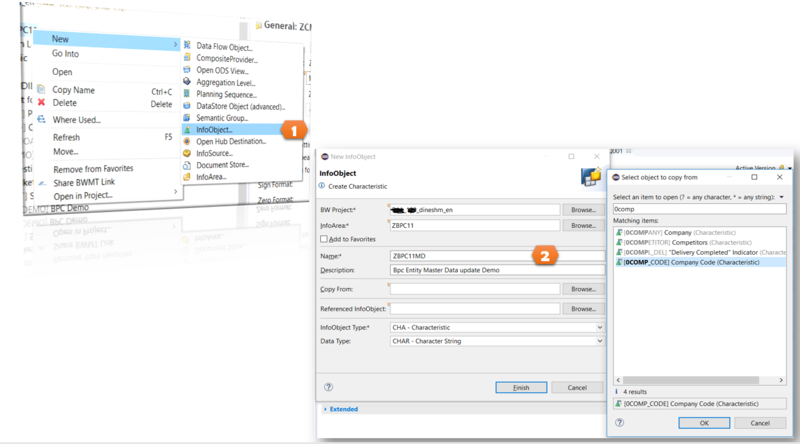 Step 2 : Enable Planning mode for the infoobject and activate the infoobject. An infoprovider is generated with the same name as the infoobject, in this case à ZBPC11MD. 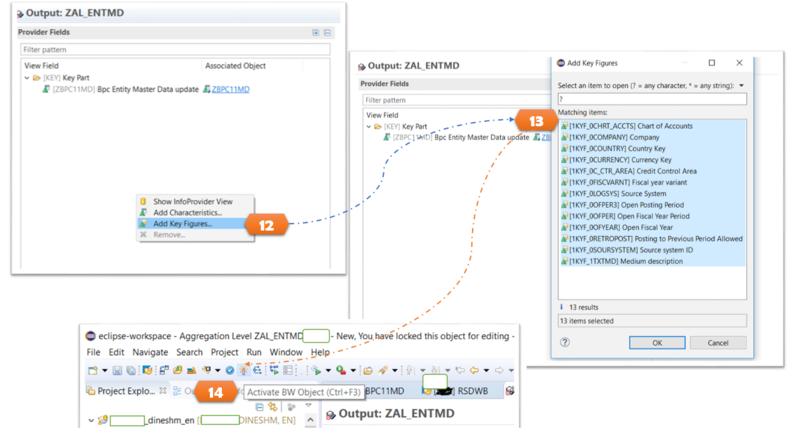 Step 3 : Create an aggregation level on top of the generated infoprovider ZBPC11MD. 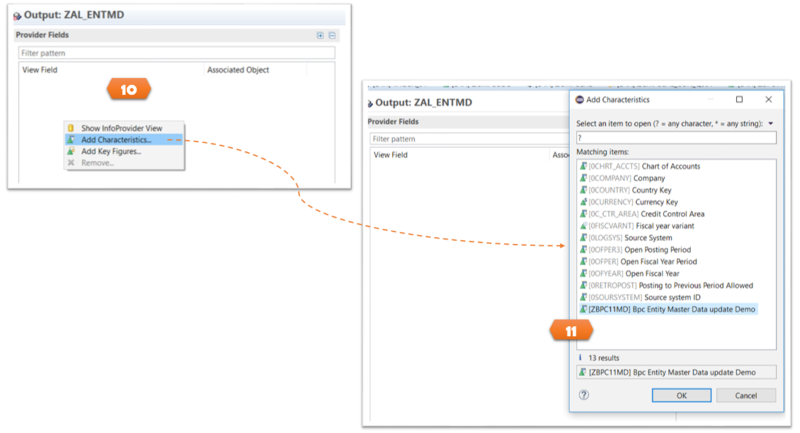 Go to transaction RSPLAN, enter the ZBPC11MD in infoprovider to view the fields of generated infoprovider. 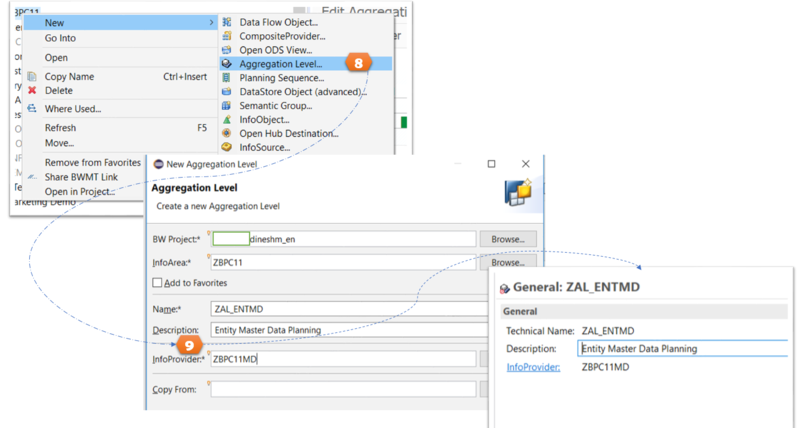 Create aggregation level on top of the infoprovider ZBPC11MD. Add Characteristics and Keyfigures to the aggregation level. Add all the properties and texts that are available as keyfigures. 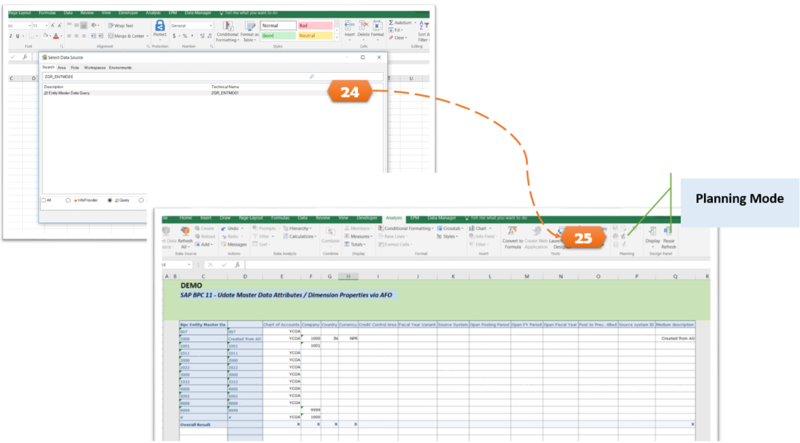 Add Characteristics in the Rows and keyfigures in the Columns. Change all the keyfigures to Input ready by going to the planning tab. 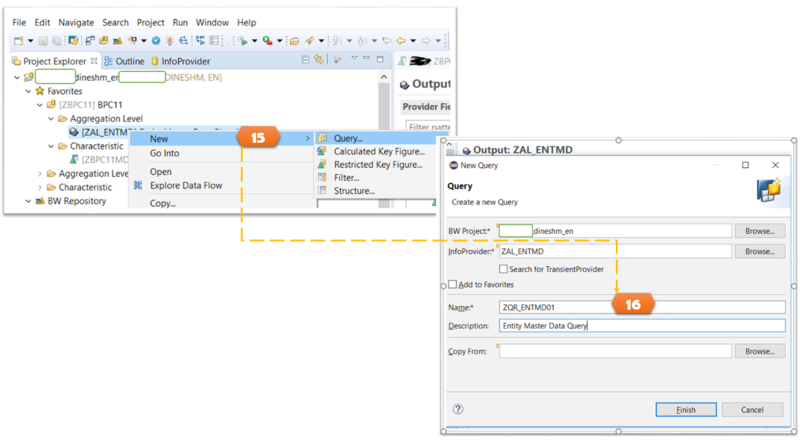 Enable the Start query in Input mode and save the query. 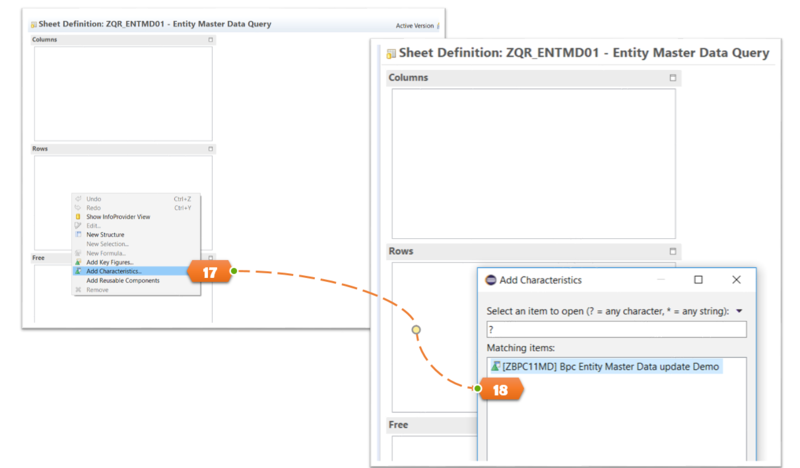 Open the query in analysis for office by inserting data source. Enter the corresponding values to the attributes and texts and Click save to update the master data. The properties and texts updates will be reflected in BW infoobject and BPC Dimensions. Now you just learnt how to update Dimension properties (Master Data attributes) & texts from Analysis for Office using Master data Planning feature in BW/4 HANA & BPC 11. You can find the benefits of this as mentioned below. enable Master data update via AFO with authorization. Looking forward for reading your comments. I hope you will find this blog useful. in fact you need BW/4HANA SP08 and AO version 2.7,cf. note 2508938.
and below are the service pack details. Explained nicely step by step.